If you’ve got the POWER…the SPEED…the PERFORMANCE on your team, then you’ve got the WINNING EDGE. Add the world’s best gaming processor and the D975XBX2 to your game strategy – a combination so BAD that it’s GOOD. 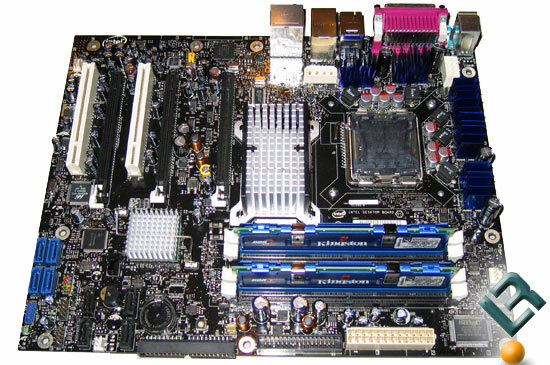 The Intel® Desktop Board D975XBX2 is Microsoft Windows Vista* Premium Ready. The Intel® 975X Express Chipset fully supports the visually stunning Windows Aero* user interface with amazing transition effects and realistic animations. With a PC built with Intel® Core™2 Duo or Intel® Core™2 Quad processors, and the Intel® Desktop Board, you can experience a more responsive and manageable environment of Microsoft Windows Vista* including a new visual sophistication of the Windows Aero* interface. Hyper-Threading Technology (HT Technology) requires a computer system with an Intel® Processor supporting HT Technology and an HT Technology enabled chipset, BIOS, and operating system. Performance will vary depending on the specific hardware and software you use. This entry was posted on July 26, 2008 at 10:45 am	and is filed under INTEL DESKTOP BOARD (D975XBX2KR). Tagged: INTEL DESKTOP BOARD (D975XBX2KR). You can follow any responses to this entry through the RSS 2.0 feed. You can leave a response, or trackback from your own site.